362 pages | 141 B/W Illus. This book provides a one-semester undergraduate introduction to counterexamples in calculus and analysis. It helps engineering, natural sciences, and mathematics students tackle commonly made erroneous conjectures. The book encourages students to think critically and analytically, and helps to reveal common errors in many examples. 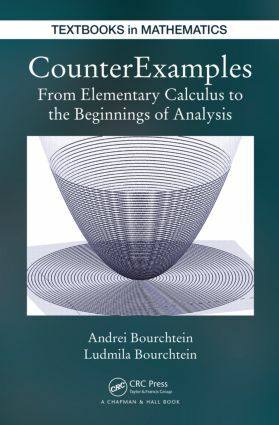 In this book, the authors present an overview of important concepts and results in calculus and real analysis by considering false statements, which may appear to be true at first glance. The book covers topics concerning the functions of real variables, starting with elementary properties, moving to limits and continuity, and then to differentiation and integration. The first part of the book describes single-variable functions, while the second part covers the functions of two variables. The many examples presented throughout the book typically start at a very basic level and become more complex during the development of exposition. At the end of each chapter, supplementary exercises of different levels of complexity are provided, the most difficult of them with a hint to the solution. This book is intended for students who are interested in developing a deeper understanding of the topics of calculus. The gathered counterexamples may also be used by calculus instructors in their classes.